It seems, from a Budtender’s perspective, that Cannabis consumers are really starting to know themselves. As time rolls on, we begin to figure out what methods work best for us, what style of high we’re chasing and what strains we prefer. But how are we doing that!? And more importantly, how can we do it better? In this ever-evolving industry we finally have a tool or two at our disposal. Understanding that weed has three primary classifications (Sativa vs. Hybrid vs. Indica) has been a great avenue for achieving a more tailored high. But that’s just the tip of the doobie. Strains are becoming more and more hybridized all the time. As we’re spending more time with the plant, we’re beginning to find that there are so many compounds in weed that hold great responsibility when it comes to the style of high you’re feeling. Ok, that’s great. But can we dig a little deeper? Leafly.com has become instrumental in helping consumers understand the Lineages, effects and flavors of most of the strains on the market. It’s the number one search engine for strains and Cannabis related articles. But even Leafly can’t keep up. Consumerism means there’s always a demand. Knowing what crosses create a strain is key in envisioning what the high might feel like. Leafly is perfect for that. Pot lovers typically have their favorites and their go-to’s. But often it’s easy to get burned out on the same old flavors and the same old highs. 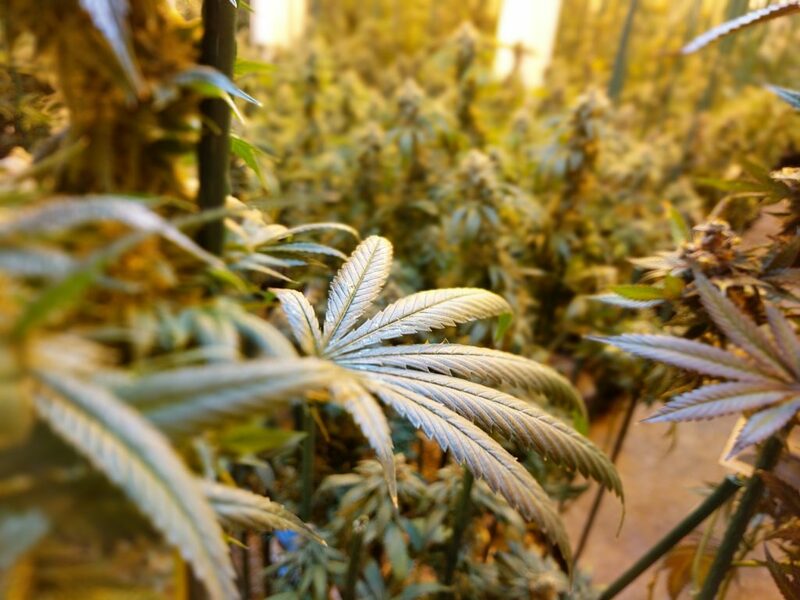 This paradigm has led growers to create a flood of new crosses, and strains. You’ll even see old favorites named something different (ie; “Chutes and Ladders” and Candyland are the same). So, yes. Leafly is excellent. But we can dig further still. First off, what ARE Terpenes. And second, why should we care? Terpenes (or “terps” for short) are, in so many words, where essential oils are born. Well, really, they’re individual compounds that make up an entire essential oil. All plants have essential oils. You may be familiar with the most common ones like Lavender, Eucalyptus, Tea Tree etc. Cannabis has the same terpenes in them. Lavender has a terpene compound in it called Linalool and so do many commonly known strains like Amnesia Haze, LA Confidential and Master Kush. You can imagine that these strains will have a calming, relaxing effect on you, like using Lavender essential oil would. This is a great reason to give a damn about terpenes. Finding out what the primary terpenes are in a certain strain can aid you in a more customized high. The more you and your Budtenders know about the terpene profiles of the strains in your favorite shop, the more success you’ll have in feeling how you want to feel. Sweetwater is setting a great example in the industry. 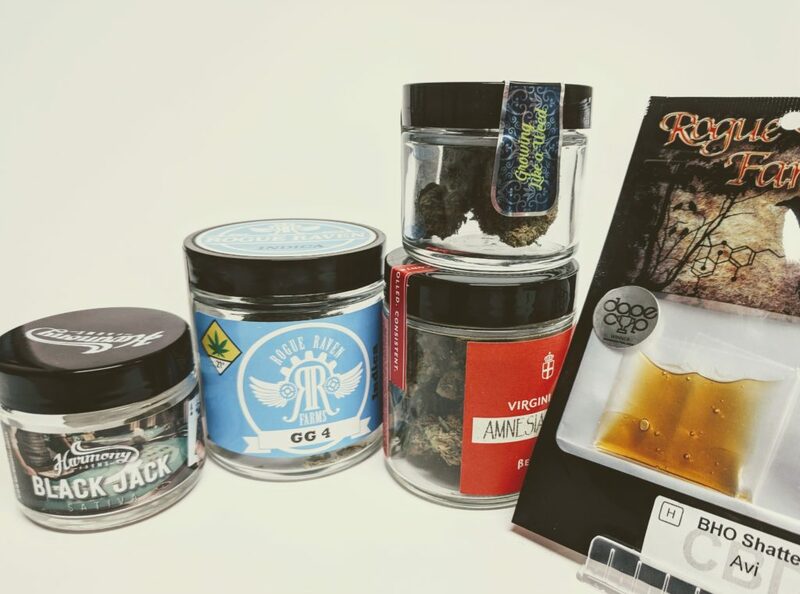 Their labels include the prominent terps in the strain, as well as some flavors, effects and suggested activities for each of their strains. Labeling in the legal cannabis industry here in Washington (or “i-502”) leaves a little to be desired. Even as a Budtender who has read many a label, I get frustrated and confused by what I’m seeing… There is just no continuity. Some farms will say “Sativa” or “Indica Dominant”on their packaging. Some will give you percentages (60% Sativa, 40% Indica). Some have their strains color coded (yellow for sativa, green for hybrid and purple for indica, etc). I’ve seen farms list their terps right on the label, which I deeply respect, while others are only giving you the THC% and omitting the THC-A and CBD factors of the strain. At this point you take what you can from labels and you rely on any other information your Budtenders may or may not have. 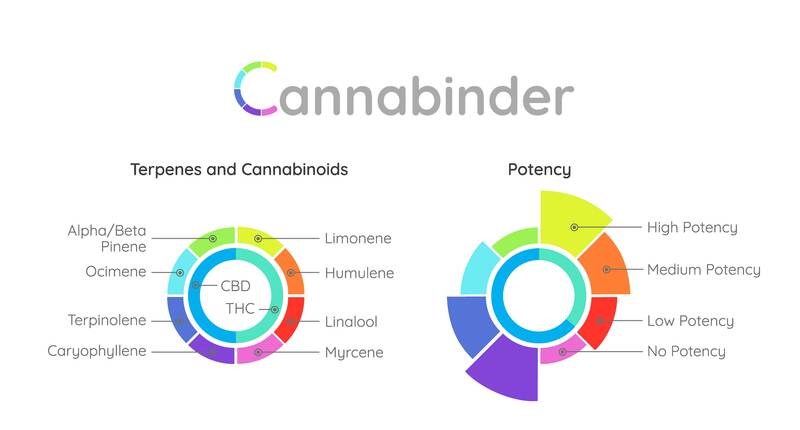 Create a profile with Cannabinder and get your personal strain journal going!! Cannabinder.com is a cannabis educational tool currently in its grassroots phase. As more growers begin to subscribe to the site and add their terpene testing results, it has the potential to light up the industry and become an important tool in pinpointing the high you seek. It’s important to recognize that two farms can grow the same strain and end up with vastly different terp results. This has a lot to do with differing growing methods, testing facilities and the seed sources as well. We won’t always know there’s a difference until all farms start testing for terps and reporting the results to not only Cannabinder, but the shops they’re selling to as well. I encourage you all to do some Cannabinder searches and learn what you can about how they gauge effects based on terp results. Even with all the knowledge and all the tools at our disposal, trying a strain is still the best technique for unearthing your reaction to it. It’s important to remember that your head space and environment play huge factors in how you might interpret a strain. In the end, we really need to just continue to be our own guinea pigs. Having your own terpene knowledge can spark a great deal of guidance in you. Notice the THC%, but not too closely now. Find yourself a good, trustworthy Budtender and use their knowledge in conjunction with your own. 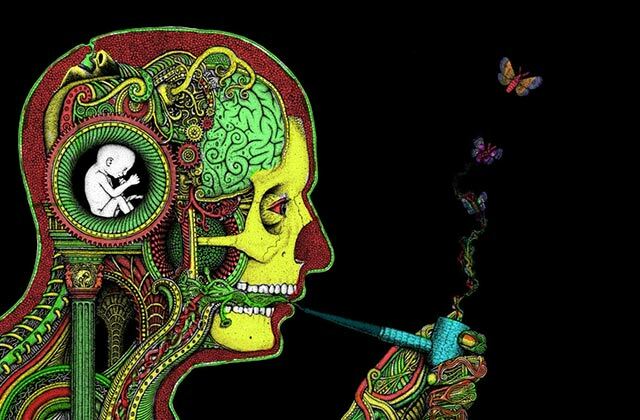 All of the Budtenders here on the Smoking Crow Crew are well versed in terpenes and how they can serve you. Come by anytime and we’ll be ready to talk terps and beyond!